With St. Patrick’s Day right around the corner, the Lyons Den is abuzz with activity. There is Irish Soda bread to be baked, a hearty stew to be made and, time permitting, a lovely Pot of Gold cake to be picked up at the Riviera Bakehouse – a gem of a bakeshop should you ever be in the neighborhood! 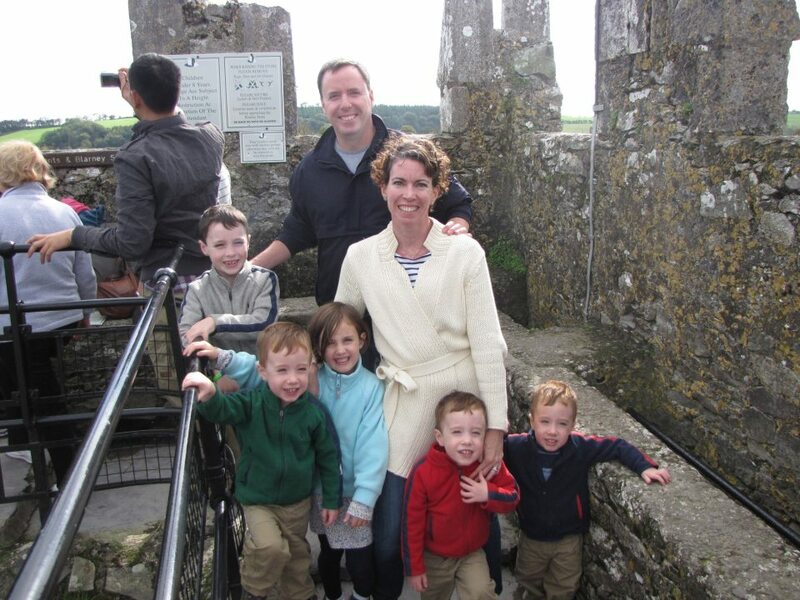 When I asked our seven-year old, Liam, what St. Patrick’s Day was all about, he responded without hesitation, “It’s about being together as a family and remembering Ireland” – which I thought was a pretty astute answer for a second-grader; after all, I’ve never shared the story of St. Patrick chasing the snakes out of Ireland so it’s only fitting that he thinks the day is about family, togetherness and remembering our Irish roots. It’s worth noting that while Liam was having his moment in the spotlight, his little sister Ciara and little brothers Kevin, Declan and Cormac (identical triplets and a stroke of Irish luck if ever there was one!) were all nodding in accordance. “Family.” “Together.” “Family.” In a rare occurrence, we found a topic to which we all could agree. Now, as you might have surmised from the impressive roster of Irish names for our brood, we’ve got a lot o’green in our blood and a fair amount of Irish pride that flows along with it. My maiden name was O’Connor; my mother’s maiden name was O’Brien. Frankly, when I married a guy with the last name Lyons, I thought we should compromise and become the “O’Lyons.” Needless to say, that didn’t work. As a first generation Irish American whose Dad hailed from County Cork, my husband Des was far too proud to change his name – and, almost a decade later, I can’t say I blame him. We had the privilege of our taking our clan (yes, we flew to Ireland with five children then six and under!) to Ireland this fall. We caught up with friends in Dublin, visited family in Bray, drove through the rolling hills of Wicklow, kissed the Blarney Stone and toured County Cork, sharing the magic of Kinsale and other seaside villages with our kids. It was a whirlwind of a trip and at times a challenge to juggle five (jet-lagged!) children as we saw the sights but it was well worth it. While I still recall the screaming banshee I became at the end of a few especially long days, the kids recall a magical, mystical fairy tale of a trip. The 2-year old triplets gave us some precious sound bites, one of my favorites of which was “If this is Barney Castle, where he at?” Ciara celebrated her fifth birthday at the Dublin Zoo, a must-see if ever you make the journey and Liam, the oldest of our crew, fell in love with the Emerald Isle. He is reading Yeats, seems to have absorbed the significance of the 1916 Easter Uprising and, in true seven year old form, naturally assumes that we’ll be heading back to Ireland this fall. For the record, we won’t – but, if time and money weren’t an issue, we’d go back in a heartbeat. Ireland is truly the land of a hundred thousand welcomes; not everyone welcomes a family of seven (with a few of them possibly wet – from either the unpredictable weather or an “accident”!) but all over Ireland, we were welcomed with open arms. With big smiles. With warm tea or a cold pint. It is that spirit – that welcome, that zest for life, for story-telling, for music, for dance, that I hope our children embody as they grow up — on St. Patrick’s Day and every other day of the year. I hope they embrace life experiences and the people they encounter along the way with Cead Mile Failte. A hundred thousand welcomes.